I don’t generally like musicals, but I loved Anchors Aweigh. It probably doesn’t hurt that I really like both Frank Sinatra and Gene Kelly, and this movie uses both of them to wonderful effect. 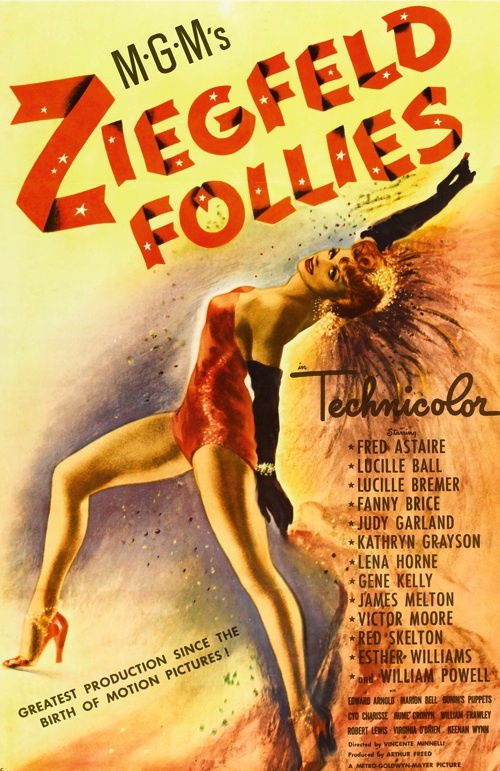 Kelly’s dance sequences are all high points, and even Sinatra comports himself well in the one dance in which he has to match Kelly step-for-step. Although I can only imagine how many takes it took to get it right. Unlike today’s hyperkinetic editing styles, most of the dance sequences in Anchors Aweigh are done in what appear to be one take, or just a few at most. In Anchors Aweigh, Sinatra and Kelly play sailors who are granted a four-day shore leave in Los Angeles due to extraordinary bravery. Kelly is a ladykiller with a woman in every port, while Sinatra is a dope when it comes to love. Kelly just wants to hook up with his beloved Lola, while Sinatra just wants a girl … any girl. Their amorous plans hit a snag, however, when they’re charged with the care of a Navy-worshipping runaway played by the very cute child actor Dean Stockwell. (Viewers familiar with Stockwell’s film and television work as an adult might wonder while watching this movie … what the hell happened to the guy?) Sinatra falls for the boy’s young aunt (Kathryn Grayson), while Kelly find himself drawn to her as well, which he resists, since his buddy has already spoken for her. But the draw is mutual. What’s a guy to do? Not to worry. With the help of orchestra leader José Iturbi (playing himself), everything will turn out O.K. in the end. Sinatra gets top billing, even though Kelly is clearly the more seasoned performer. Sinatra may have been one of the most popular crooners in the country, but this was only his third real acting role on screen. At points he looks like a kid in a high school play who doesn’t know what to do with his hands. If you’d told anyone in 1945 that he’d win an Academy Award for Best Supporting Actor just eight years later they probably wouldn’t have believed you. But his natural charisma makes up for a lot. Iturbi is clearly not a professional actor, either, but the few scenes in which he has to perform (and not just conduct), he’s charming and fun to watch. He has a wonderful sense of comic timing, and projects warmth and empathy when he needs to. Clocking in at two hours and 20 minutes, Anchors Aweigh is the kind of candy-colored fantasy that Hollywood just doesn’t make anymore. Everything but the kitchen sink is thrown in … there’s even a fantasy dance sequence in which Kelly dances in a cartoon world with an animated mouse (Jerry of Tom & Jerry fame). Its Bollywood-sized ambitions might turn off some modern viewers, but I thought it was great. At no point was I bored. I was entranced and delighted throughout. Posted in 1945, July 1945 and tagged Adrienne Fazan, Anchors Aweigh, Billy Gilbert, Calvin Jackson, Carlos Ramírez, Charles P. Boyle, Comedy, Dean Stockwell, Edgar Kennedy, Frank Sinatra, Gene Kelly, George Sidney, George Stoll, Grady Sutton, Henry O'Neill, Isobel Lennart, Joe Pasternak, José Iturbi, Kathryn Grayson, Leon Ames, Metro-Goldwyn-Mayer, Musicals, Natalie Marcin, Pamela Britton, Rags Ragland, Robert H. Planck, Romance, Sharon McManus, Tom and Jerry. Bookmark the permalink.